Although video poker is often lumped in with slot machines, it is a much different game. The biggest and most important difference is video poker can be played with skill and slots are based on nothing more than pure luck. If you are simply interested in a mind numbing trip to the casino, where you don’t have to use much brain power to gamble, slots are probably the way to go. However, if you are looking for a game played on a machine (instead of table games), that can be played with a low house edge, and requires skill—video poker should be your choice. 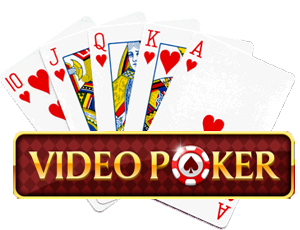 In fact, video poker is one of the few games in the casino that can be played with an advantage over the casino. It does require you to play only certain types of machines, incorporate “comps” and promotions, and play each hand perfectly, but it can be done. What is Payback Percentage and How Does It Work on Video Poker? Payback percentage is the percentage of money the casino pays out to the customers in winnings over the long term. If a game has a 95% payback, the casino pays out 95% in winnings and keeps 5% in profit. This is an average over a long period of time. It does not mean they keep $5 of every $100 that is played. However, over the long term the mathematics of the game will dictate that they will receive 5% in total profits. The way you calculate payback percentage for video poker is different than slot machines. Video poker machines are not set at a specific payback percentage. In video poker, the payback percentage is computed using the pay table on the screen. Using the pay table on a 9/6 Jacks or Better machine, it can be determined that if you play the machine perfectly, the overall payback is 99.54 percent. That means the casino only receives about half a cent for every dollar put into the machine on average over the long term. That sounds much better than the slot machines that are generally set at 10 percent plus, which means the casino gets at least ten cents of every dollar. For the most part, slot machines often offer bigger jackpots than video poker games. For example, the best possible payout on a 9/6 Jacks or Better game where you’re wagering $1.25 per spin is $5000. You can easily find a slot machine game with two or three times that amount as the top jackpot. So if you enjoy going after huge, potentially life-changing jackpots, and you don’t mind the greater hourly loss and volatility found on slots with large jackpots, then slots might work out well for you. Another pro that slot machines offer over video poker is the lack of decision making required, and even that is only a pro to a specific set of gamblers. Some gamblers don’t like to make decisions while they’re playing—and they certainly don’t want to make decisions that might actually affect their outcome. Other gamblers enjoy the challenge of making strategic decisions that actually affect their outcomes. These are the same types of gamblers who enjoy blackjack, sports betting, and poker games. No amount of strategy or good decision making will make a negative expectation video poker game into a positive expectation game, but you can get pretty close. So the question becomes this: What kind of gambler are you? 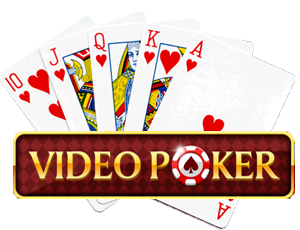 If you want some control over your fate and enjoy the challenge of making decisions which might or might not be correct, then video poker is probably the game for you. On the other hand, if you just want to soak up the casino ambience and hope to get lucky, then slot machines might be a viable alternative.